Made with over 18 levels, with increasing difficulty, the Sniper Complete Game Project is designed in a magnificent interface of a shooting game that is a great play on a mobile! 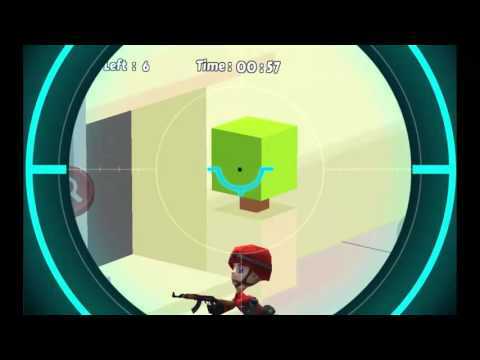 The complete game involves induced efforts towards the creation of an application that can easily make path for itself to become one of the most top ranked shooting games, sure to surpass others in both the android and iOS markets. It involves a player’s insight and speed to accomplish the set and given targets in the shooting game that has to be completed within the time ticking across. The project is highly riveting and keeps its users stuck to the game with a requisite three star rating at every level, thus enjoying reinstalls and retention. There is nothing that wouldn’t be of benefit of the developer to this project. It is sure to reap high returns with the advertising through Admob on Android, and Charboard on iOS. Go on and buy the project at GameGorillaz, for nothing short of perfection and earnings that pass all your previous projects! Give the market the next big sensation. Admob integrated for andorid and Chartboost integrated for iOS. It's cool and well designed.